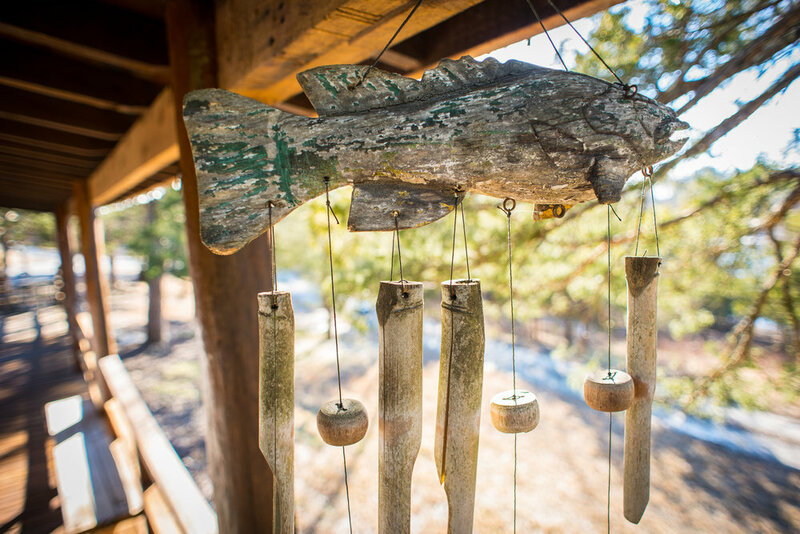 Gypsy Dell Log Cabin —Your Lakefront Vacation Hideaway. Sitting next to a beautiful secluded cove on Table Rock Lake, Gypsy Dell Log Cabin is perfect for a romantic getaway, or for families and friends who want to enjoy Branson and stay right on Table Rock Lake! This location gives you quick access to all the shows, shopping, golf, restaurants and attractions of Branson, Branson West and Kimberling City. Welcome home. Sit back and relax. With a wood-burning stone fireplace, flat screen TV with cable, WiFi and comfortable furnishings, Gypsy Dell is an ideal place to spend some quality time with the people who matter most from a romantic getaway to a family week away. Follow the path down 75 yards to the lake and enjoy your own private boat dock. It’s perfect for swimming, fishing and water sports. Bring your own boat or rent one from a local marina. There are two 10' x 20' boat slips and a 14' x 18' swim deck. Kick back and enjoy the lake view. 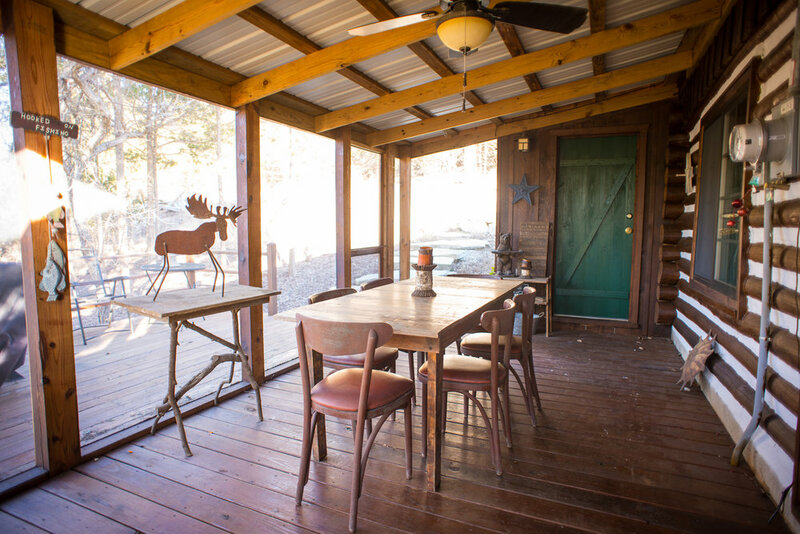 A great covered porch runs the length of the cabin with a dining deck on one side and a covered porch on the other. Relax on the porch swing and enjoy the lake view while sipping on hot coffee or a glass of your favorite wine! Step into your secluded cabin on the lake and you'll enter into a charming cabin complete with a cozy family room, kitchen and dining area. A stone fireplace, flat screen television with cable, and comfortable furnishings make the Gypsy Dell an ideal place to spend some quality time with the people who matter most. There's a side deck to savor meals and soak up the sunshine. Or enjoy the lake view from the covered porch and relax on the swing while sipping coffee or a glass of your favorite wine! There's even a screened in porch on the side of the cabin with table and chairs for eating outdoors and a gas bbq grill. Although you're only 10 minutes from either the Highway 76 strip or Silver Dollar City, after a long fun day, Gypsy Dell is waiting for you, tucked back lakeside, away from it all.